I probably should have said "Renovation Zone", but the point is that we're finally making real steps towards our plan! Ken has been able to take some time off during the next few weeks to start the necessary renovations on our home to get it sold. Our master bathroom is finally grouted ... the floors, the walls and the shower. We've been living in this house for a few years and have never been able to use our master shower until now. This may sound like an easy job, but the grouting and some other minor repairs in the bathroom took two days ... with Ken's helper! 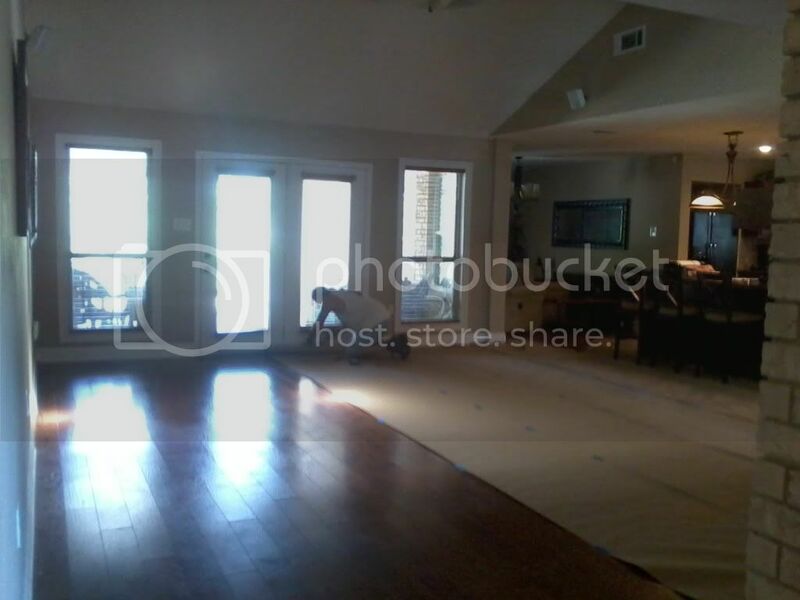 We bought our "gutted" home after Hurricane Katrina, and we literally moved into the house with concrete floors and no kitchen or bathroom. Basically, the house had reached completion of the sheetrock stage since the storm, but nothing else. Looking back, we should have redone the sheetrock before moving forward with our renovations because it was a terrible job. But, we didn't have the cruising plan at the time and thought we'd be living in this house forever. The sheetrock job was fine enough for us, and we were just anxious to have a half-way complete place to live! Once we decided to sell our home, we knew it would be wise to refinish the sheetrock. Our den furniture is now crammed in our dining room and our floors are covered with paper to keep them protected. 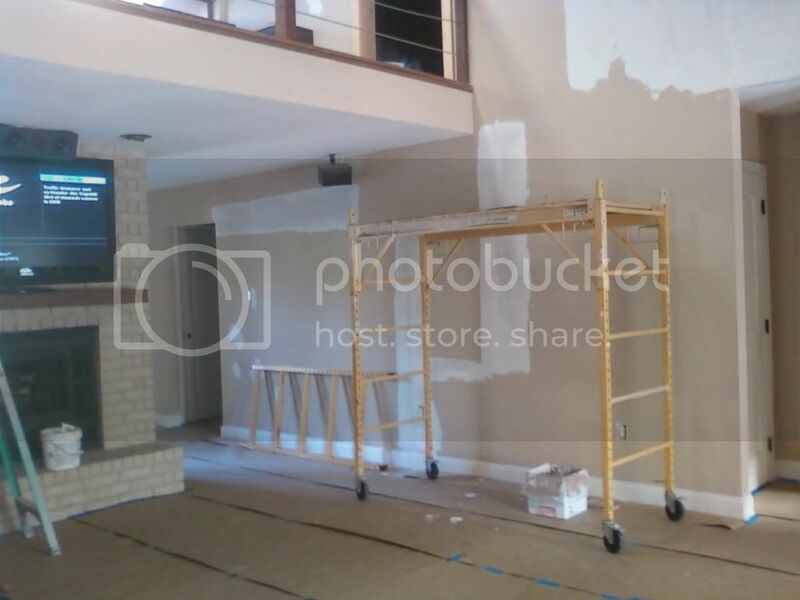 This may seem like a lot of unnecessary work to some of you, but we want the house to show well and it's amazing how bad a house can look with a bad sheetrock job. 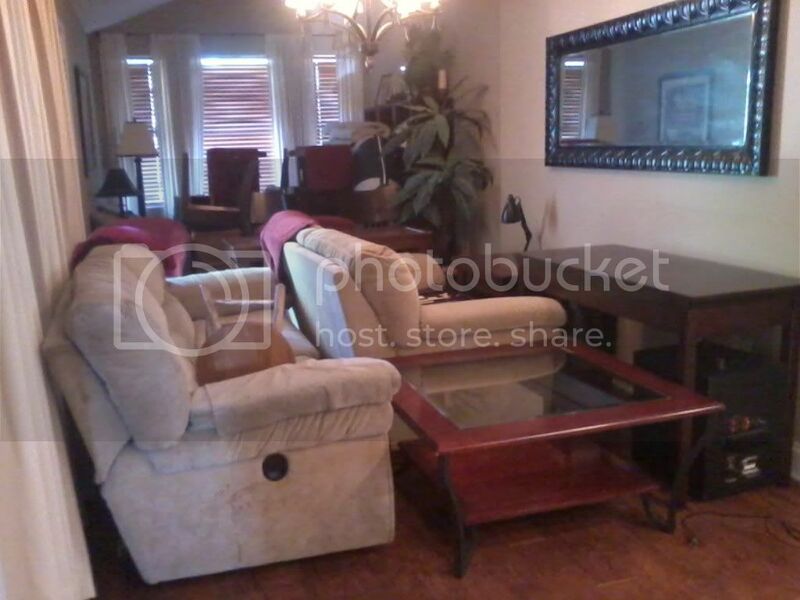 Also, once we moved in we replaced and relocated light fixtures and ceiling fans (the only things that still remained). This left holes in our ceilings, which definitely had to be repaired before selling. We really love our house and think these sheetrock repairs will make a big difference and be worth the work and inconvenience. We hope to have the sheetrock repairs complete in time to start painting next week. I don't mind painting and have become pretty good at it, so I'll be happy to be able to "contribute" by painting. Ken has been the one burdened with making this happen while juggling work and bills, and I'm really grateful to him. He really does deserve to stop working so hard soon! After the walls and ceilings are painted, we'll be moving on to a lot of other little projects around the house. There's the installation of crown molding on our kitchen cabinets that has to be finished, door knobs that have to be put on our bedroom doors, painting of some baseboards, painting of a couple of doors, installation of our master closet doors, some minor electrical repairs, a little landscaping ... and on and on. A few people have asked us in the past why we didn't just sell our house "as is" and let the buyer make the repairs. This list should give you an idea of why we didn't think that was a good idea. Since Ken can do a lot of this work himself, we'll save a lot of money by making the repairs. 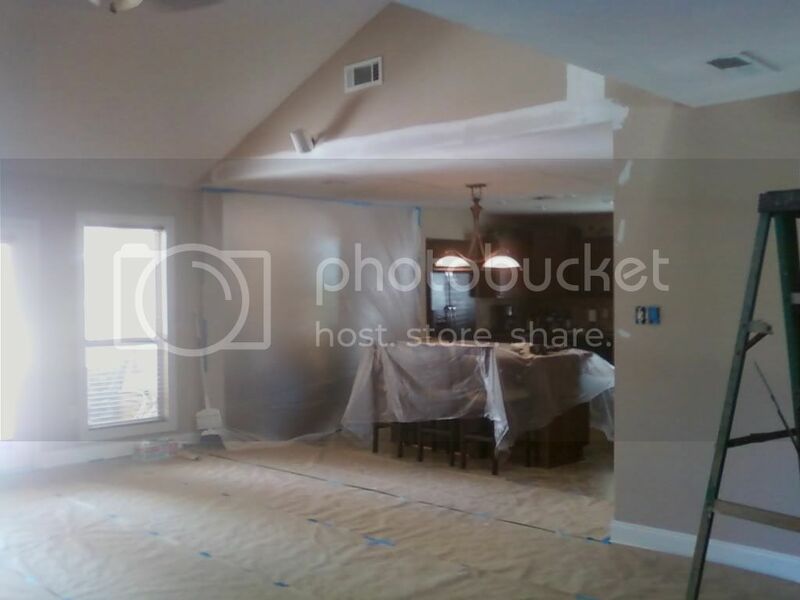 When buyers see bad sheetrock, holes in the walls and ceilings, missing doors and doorknobs, etc. they see dollar signs. As a real estate agent, I can tell you that the amount most buyers would want to deduct for these repairs would be outrageous! Our home is beautiful, but the lack of these repairs would have really hurt us. She should show really well once we're done. We are so excited about finally having the time and more importantly ... the money, to finish our house! Being self-employed doesn't allow us to receive vacation pay while working at home. That is the main reason it has taken us so long to get to this point. We needed money for renovations AND money to pay our bills. Every time we'd get close, there would be an unexpected financial issue that sucked up our savings. Ahh, the joys of being self-employed! There's no turning back now ... we're gonna "get her done"! We're trying to finish this project as quickly and efficiently as possible because we're on a very tight budget. Wish us luck! It is going to be beautiful! I completely understand your reasons for making these repairs -- no justification needed. For every one buy who wants a fixer, there are probably nine who want turn-key, so I think you're being very smart, especially since you can do most of the work yourselves. You should get every penny and more out of these repairs. 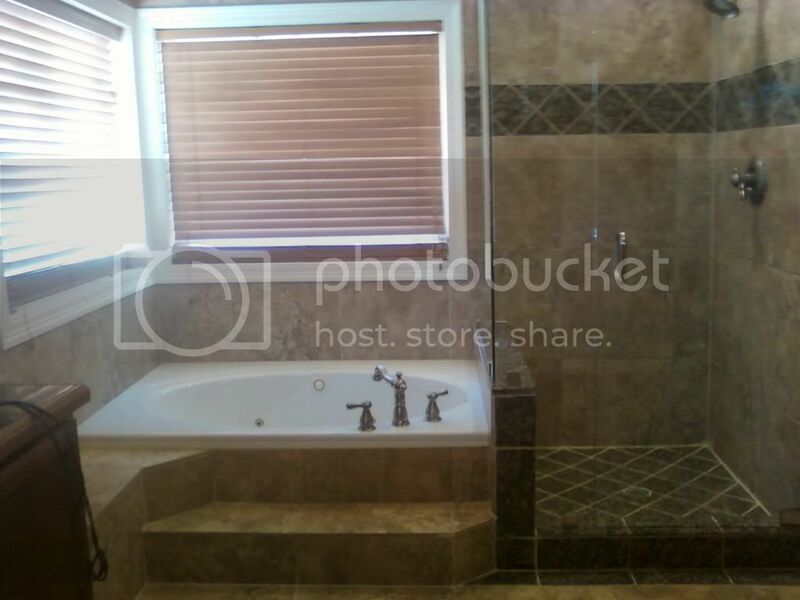 The only downside is that you are fixing up a house to be beautiful, only to sell it. Been there, done that. But I wish you luck with the repairs and a quick sale. It will all be worth it in the end! Oh, man I don't envy all that work. We've remodeled both houses we've lived in and I know how much work that is. We made a list of things we'd have to do in order to get our house ready to rent, and even that was discouraging. So glad you are at the point where you feel like you are making good progress! You are smart to do those repairs. The house is certainly beautiful! Hope you sell it quickly. Looks like an awesome place. 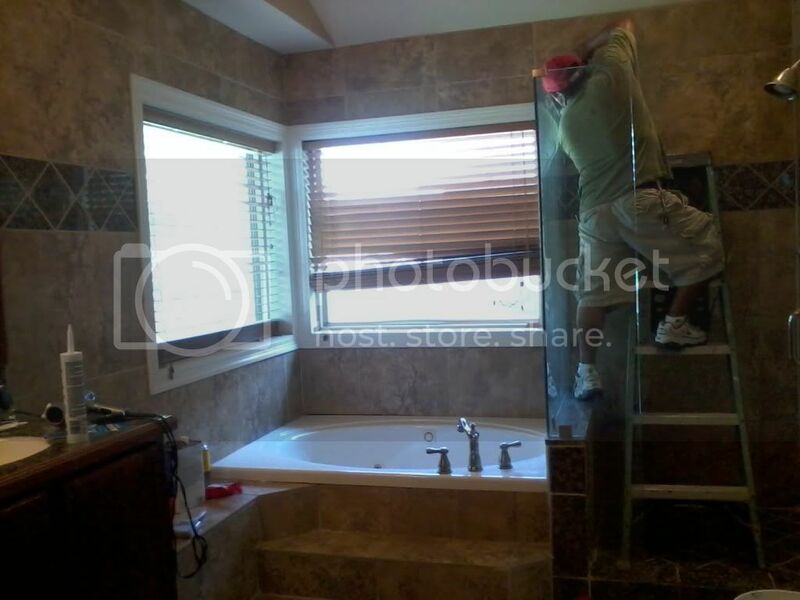 We know how hard it is to get a home ready to show, so we appreciate the work you guys are doing. We can hardly remember all that stress right now, but I'm sure it took a few months off of our existence. 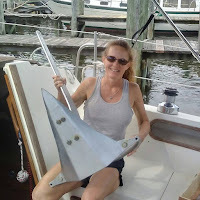 Keep at it, as it will pay off, then you can start some boat projects! Congrats on getting the ball rolling! You must be getting excited. One step at a time, one step at a time.